Many people dream of playing an instrument, but if you didn’t take lessons as a child, you may think it is too late to learn to play piano. You might be excited to learn, then, that it is far from impossible to learn to play piano at any age. The key is practice. But in a world filled with distractions and adult responsibilities, it really comes down to one thing: time. How long will it take to learn to play piano? and Do I have that time? are probably at the forefront of your mind if you are considering taking lessons. And while we can’t offer much advice on that second question, we’re doing to do our best to demystify how long you can expect it to take for you to learn to play piano. How much do you practice as you learn to play piano? In his book Outliers, Malcolm Gladwell assertion that it takes 10,000 hours of practice to master a skill. This equates to about ten and a half hours a week for twenty years. Science now suggests that this 10,000 hours rule is somewhat arbitrary, but it illustrates an important point. If you aren’t practicing a new skill frequently and for a substantial amount of time, you likely aren’t going to make a much meaningful improvement. And while it is certainly important to remember that everyone learns at their own pace and some people have more a musical aptitude than others, most piano instructors will recommend three to four hours of practice a week accompanied by a half hour or hour long lesson. 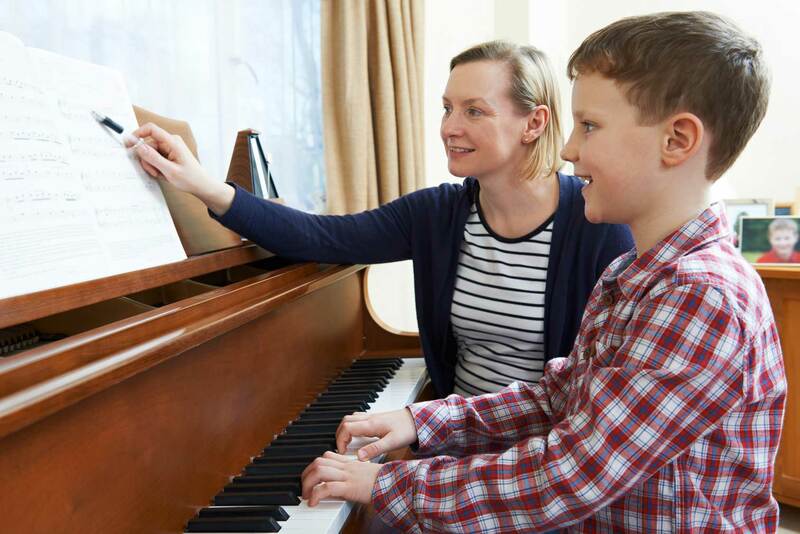 Let’s assume you take the above advice to heart and practice four hours every week — and that you have access to a piano at home in order to be able to practice at your leisure. How are you distributing those hours of practice? If you’re trying to get in all your practice for the week in one sitting, you may want to reconsider your strategy. Just as you should break up your studying for school into several shorter sessions instead of one long session, you should do this when practicing piano. This basic idea, called the Pomodoro Technique, helps to improve productivity and concentration. It helps you to manage your time efficiently while maximising how well you can focus on information and how well you absorb it. Veteran piano instructors suggest you practice for half an hour at a time if you want to learn to play the piano. If you want to devote more time than that to practicing in a given day, give yourself a break after thirty minutes and you will be better able to process and remember the song. Keep in mind that how “good” you are at the piano is completely objective. If you want to be good at piano compared to your musically inept friends, you may not need to invest too much time until you reach that point. If you were to be a concert pianist, it is going to take you much longer to learn to play piano that well. Usually, people reach a level of skill they are satisfied within two to three years. In addition to traditional lessons, there are a variety of new tools available to help you learn to play piano quickly, but it ultimately comes down to you and the time you spend practicing.